The Easter Cross Witness was created to be a community celebration and has been a part of Coronado since 2014. 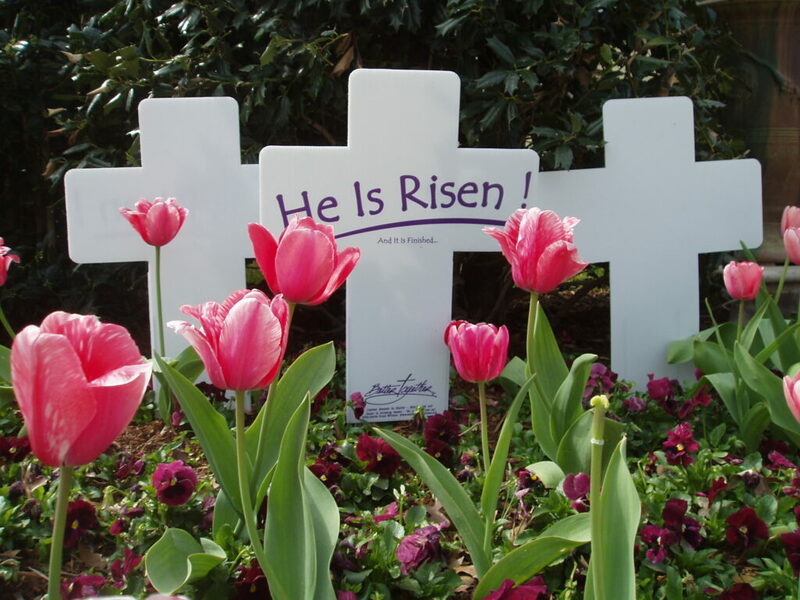 Inspired by the beautiful white crosses at Normandy, the Easter Cross Witness invites you to display your cross….in your yard, window, or balcony from now until Easter Sunday, though some choose to leave their crosses up longer. It is not yard art. It is not an Easter decoration. It was created to be a witness and a celebration. Put it out now with the blank white side facing front and then turn it on Easter Sunday to display “He Is Risen.” Please contact Mandy Truesdale (619-435-9999) or Gail Pedrotty (619-435-3660) to have a cross happily delivered to you. A $5 donation is suggested.